So the title pretty much says it all, folks. Except I think that when you binge eat all day long it stops being binge eating, moves past pig-ish, and goes straight to disgusting. This is not to say that what I do is binge eat all day long. It's just what I want to do. Let me blabber on a little bit more. I am not super, duper, disgustingly fat. But I'm still, what I consider to be, embarrassingly fat. Since giving birth to Resa, after all the sweating and peeing, my weight is 19 lbs lighter than when I became pregnant with her. So that's good. But I still have a kabillion pounds to go. Or, like 40ish, which pretty much feels like kabillion. You can go ahead and tell me this. - I've lost the NICU. Those things are great! Eh... but Ben's and L's pregnancies were the worst and, I'll just say this, I really want to be under 200lbs again. Like squarely, perfectly, if I overeat one day I won't go back over 200, under 200lbs again. Like 195. That's my first goal, which I haven't met yet. Because while I don't binge eat all day, I do still binge eat. Even though I've already told you this next part, don't stop me because I'm going to finish it off by telling you something I might not have shared before. In college I lost 50lbs. How fat I am now, that's how fat I was in high school and my first two years of college. And then May after my sophomore year I decided I couldn't take it any more and I started to run and eat better. I worked my way up to 3 miles - they were slow and rare but they were mine - I could do them! And I looked good. My weight would flux a little on each side of 155 and I looked good. In fact, a lot of people thought I was lying when they'd hear how much I weighed because I didn't look like a woman who weighed 155. But, the thing is, I didn't just use diet and exercise to lose that weight. Because I still kept binge eating and you can't drop 50 lbs in 5 months that way. So I adopted the purging part. Yes, I could eat two pieces of cake, go throw it up, and still lose weight. In a lot of ways it was perfect. Puking never bothered me when I was sick and so I didn't mind doing it to wear a size M for once in my life. I didn't do it every day, maybe 3 or 4 times a week. Just enough. For a long time it was a secret I could keep but college life meant other people heard me puke. The truth slowly came out to a small group of people, but I just kept doing it so I could maintain my ideal weight. A bunch of other things happened my senior year that brought a lot of stress and anxiety to my life. Panic attacks and purging were happening a lot and I zeroed in on my weight as a way to make myself have a sense of control and calm. But the day I walked briskly across campus thinking only about how thin my thighs could be, ignoring everything else around me, that was the day I decided I needed to stop. I went to confession, asked my friends to keep me accountable, and stopped. And so just like I had turned it on I turned it off. Over the years I would be tempted to do it again. I'd binge eat something - usually because of stress - and then stare into the toilet. Sometimes I gave in to the temptation, usually not. And then I had a baby girl and I never, ever wanted her to ever learn to hate how she looked so much that she'd do anything it took to feel beautiful. I never wanted her to learn to binge and purge like me. I wanted - want - her and her sister to know that they is gorgeous on so many levels, perfect and lovely and beautiful. My daughters will never hear me vomit my cake into a toilet. Never. I just wish I could control my stress eating, my emotional eating, my binge eating. I'm working on it. So I don't know why I've wanted to write about all this. I guess because I think about my weight all the time and I want to continue to lose it. But sometimes I don't do anything about it because I'm afraid of getting caught up in it again. I'm afraid of giving in to the thoughts to "just throw it up" - thoughts I still have almost every day. Every day, people, even after almost 8 years. Maybe in the end this is me sharing my demon hoping you'll pray for me or encourage me or just be really nice to me. I will definitely pray for you, Bonnie! And I want to encourage you, too. Some gals are starting a little weight loss support group over on the twitter with check ins on Wednesdays (the least cruel day, we thought) using the hashtag #pray2lose . Because the idea is that every week when we step on the scale, we pray for all the other ladies instead of just ourselves (or maybe instead of ourselves at all). It's such a mental and emotional game, truly. Yes, exercise helps us be more fit, but it's really our relationship with food that sends us down those ugly roads, ya know? So I'm giving you a virtual hug and hoping you know that you're not alone! Thanks, Dwij. I will think about the twitter group. 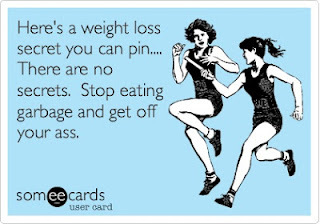 It's hard for me to talk weight loss with a bunch of people who are way thinner than me... or people who actually like exercise. That might be unfair, but it's true. When that eating disorder demon "bites you" (no pun intended), unfortunately, he almost never goes away completely. You can and will learn to ignore him, and tell him to shut the f$@* up, but he will almost always be in the corner of your mind trying to bring you down. I'm not talking about you specifically (nor am I trying to discourage you), I am just basically saying "I feel you." Not a day goes by where I don't wish I were 1, 2, 5, 10, 20, 30? (on really bad days)pounds lighter. I hardly ever say "I am 100% satisfied with myself right at this very moment." Even on "skinny" days, there is always something that could be better. Even though I know I wasn't very healthy being 90 lbs. in early college, I still remember everyday that I did achieve that weight, and I could if I really tried again. But thankfully, there are really really sucky sides to disordered eating, that when thinking about those things makes me vow never to go down that dirty road again. I've come a very long way from my worst and I will never go back again. What gets me through is the fact that I love food, and have decided that I'm going to eat it, and enjoy it. But mostly, the way Clark looks at me and lights up with glee everytime he sees me and comes crawling so fast to me and gives me kisses. He doesn't know that my body isn't perfect, he just knows I'm his mama, and that he loves me, and I love him. He gets love and comfort from my body. He lays his head down on my not-so-rock hard and pretty soft tummy when he is tired, and I think he likes the softness. So anyways, slowly but surely, I'm starting to realize that my body is pretty damn awesome, and I could take better care of it and need to try my best to be as healthy as possible. So after this long and dragged out comment, what I'm trying to say is, I love you, you're awesome, you're beautiful, you're definitely not alone, and I'm praying for you. AND if you need any help or guidance with eating, food, the "demon"..I am always here for you free of charge. (I will be certified in May, so then you can say "Oh you know I have this eating disorder specialist friend..blah bleeh blooh)..teehee j/k.... LOVE YOU TONS AND TONS. I am really glad to have a irl friend who knows what I'm going through. Thanks, Mia. I love what you wrote about Clark. As much as I know that my kids think I'm gorgeous (do they even really know what that means? Lydia uses it) I want to be healthy (read: fit) for them, too. I need to lose weight for their sake as much as I need to be okay with how I look now. My prayers are with you. I think so many of us have walked this road more or less privately. It can be tortuous, especially for those of us who know that virtue does not reside in our secret fixations... and yet we long for sanctity. I struggle with weight loss because once I start, I have a hard time stopping. It's different than your struggle... and yet, the same. It is my way of purging. The less of me, the better. It is not something I have spoken of publicly before, certainly never had the courage to say it on my blog. You know why? Because then someone might hold me accountable. And I don't like that! You are not, not, not alone in your disordered relationship with body and food. And I do realize that it is not primarily about food for many people. I was a mom of 4 shopping in the children's department for my clothes... and I was mortified when I gained a pound. I wanted to be nothing. I wanted to disappear.Not because I had a terrible life, but because my image of myself and my worth was so fundamentally disordered from my youth. I am healthy now but I struggle and struggle. I offer it up secretly for my children and my loved ones and the unborn innocents. And I will offer it up this week for you. Because, yeah, it's every day. Praise the Lord for granting you the grace to seek health! He loves you so much. Wow, Melody. Thank you for your prayers. Thank you so much for sharing. I've been there, and am still there to some degree. While I never purged, I got to a very unhealthy weight in high school by keeping strict control over my calorie intake. It was all about control. Some really difficult things were happening with my family, and food/weight were the only things I could manage. I still struggle with my weight, but have found a lot of joy in exercising. I also was surprised to find that I really feel so much better when I eat well. Like you, I don't EVER want my kids to feel the kind of desperate need to look a certain way. Praying for you, and please pray for me! This is a struggle I think so many Catholic women have but hide. I wish I could find joy in exercising! Good for you! - I'm being sincere here, by the way! I wonder sometimes how many of us are all hiding the same thing from one another. I was bulimic for 9 years, all through high school and college, and then like you, one day after a good confession and the 14 millionth therapy session of my life, I stopped. But the urge has never, ever gone away. It has been 5 years now, I think, since I last purged, and I still have fleeting thoughts of 'uh oh, shouldn't have eaten that, better get rid of it.' Pregnancy makes it so much worse for me, because I suddenly have a blanket permission slip for all my 'illegal' foods and since I'm going to be getting fat anyway...well, game on. I am about 25 lbs away from what would be considered a healthy weight for my frame, but my daily appointments with chips and salsa during naptime are definitely not contributing to success on the scale. I guess what I'm saying is, I hear you, I'm living this struggle as well, and I never, ever want my children to see Mommy the way Mommy sees herself. God, have mercy on us and on our sisters who struggle. Oh, one last thing...so some of my weight gain is solely 'my' fault, but some of it is inevitable creepage on the scale from babymaking. My body just hangs onto fat when I am pregnant or nursing. My sweet husband told me a few months ago to not ever compare myself to women who are contracepting, i.e., whose 2 children are 3 or 4 years apart and then they're 'done' with childbearing and have time to work on their perfect mommy bodies ... and keep them that way. I thought it was such a powerful insight, provided I don't let it be an excuse to binge on my tortilla chips, but rather, to make peace with what is less than perfect by our sterile world's standards. Sorry/not sorry I wrote you a novel. Don't apologize. I appreciate the comment. I do know that my body will never be the same as it was when I got married. In fact, my weight loss goal this time around is about 10lbs heavier than when I was in college. My body won't look like that again (oh my blobby belly, so soft from being so stretched so many times.) and I'm okay with that. I just wish I was there already! You make it sound so simple... I'm glad it was for you. I'm participating in an Ignatian prayer group (called Lord Teach Me to Pray), and we beg God each week for a different virtue. This week is humility, and we beg God for the grace to "see myself as God sees me." I never thought of humility that way before, but it seems to fit here. I struggle with body image, but God sees me as his child that he loves, fat or not. Hope this helps! Will pray for you! I've been reading your blog for a while, and I love your honesty! I can so relate, as I am a mother of 4 myself. Thanks for the tip on humility. I have been coming back to it ever since you first posted your comment. Something to continue to ponder. OH my gosh--I so understand. Five of my seven are daughters. Our lives were sort of the perfect storm, if you will, to brew up eating disorders. How my poor girls struggle! 1. their stocky frames that are not conducive to being super thin, and 2. self hatred when they see the reflection of the father that harmed them in many ways. One daughter has been to the brink of suicide MANY times. She was severely bulimic, to the point that her digestive system was beginning to shut down. Now, she has recovered her physical health, with the help of an eating disorder program. She still goes to her program twice a week (she is a college student) but really has to fight the mental and emotional battle. And deal with her body at a healthy weight, which to her looks too big. Now, I see three of my intelligent, beautiful daughters hating their bodies and how that has led them to make some decisions in life that say "this is the best I can do, I am not good enough for better." Mostly in the boyfriend department. I am SO glad you were able to stop! I can relate to you wanting to feel and look better. Of course you should do what you need to to be healthy! But I would echo Mia Jude in saying, try to see yourself as you kids see you. I think that is a lot closer to the way God sees us anyway, :) In order for them to be comfortable and confident with themselves, they have to see you that way. So, even as you work on your own weight/health, try to see yourself as dearly as God and your kids do. Being at home with children requires so much discipline! Making time to care for yourself can be almost ridiculously impossible some days, I know. I hope NONE of all I said here feels preachy. Because I have learned over these tough years that people with eating disorders, as well as those with all kinds of other mental/emotional issues, are some of the loveliest, smartest, most compassionate people on earth, and if you met them on the street, you would never know the degree of their inner turmoil. You, however have a great and wonderful relationship with Our Lord that of course, frames, carries, and covers you (us) through every minute of our lives. I will pray for you and hope you will also for my family. Thank you, Kelly. I am really touched by your words. So brave. Thank you for sharing and prayers all around! It's not brave. I'm afraid and I need people to pray for me and know that if it seems like I secretly hate them because they run races and look good it's because I'm sitting over here battling this stupid demon. Bonnie. I read this early this morning quickly before Mass (so glad I subscribed to you blog via e-mail just a few days ago), and my heart was aching for you. Thank you (and commenters that I am just reading now) for sharing so honestly and bravely your struggles, and your commitment to avoid purging in particular. I prayed for you in a special way at Mass and two things stuck out. First, Fr. Don's homily was about the fact that St. Damian (of Cosmos & Damian) was the namesake for the San Damiano chapel. That's the chapel in which St. Francis had his message from Christ to "rebuild my church." He said that St. Damien was a doctor, and so just like St. Francis was asking the Lord for healing of his own brokenness, we are meant to ask the Lord for healing. What an interesting and unusual connection for him to make, I thought. Second, the first reading at Mass today is Proverbs 30:5-9. Part of it reads: "Two things I ask of you/deny them not to me before I die:/Put falsehood and lying far from me,give me neither poverty nor riches;/provide me only with the food I need;/Lest, being full, I deny you,/saying, "Who is the Lord?" Or, being in want, I steal,/and profane the name of my God." Finally---and let me clarify, God's not in the habit of speaking to me directly---but I had a clear inspiration after Communion that the Lord Himself richly blesses your commitment to live a healthy (non-disordered) lifestyle as an example to your daughters. Remember when you wrote about wanting to respect your mom by having Teresa in hospital? I had the same strong after-Communion sense that God blesses that in a special way. I think that's three, showing how I am really cooked after 8 p.m.! Nancy, this was really powerful for me. Thank you. Thank you. Thank you. Thank you for your vulnerability! I can relate to MUCH of what you wrote about. It is a daily thought battle for me too. But I think when we keep those struggles a secret, Satan has the power over them. When we open up, share, pray together, and are honest with each other, he loses that power and (as we draw from God's strength) we can have VICTORY!!!! 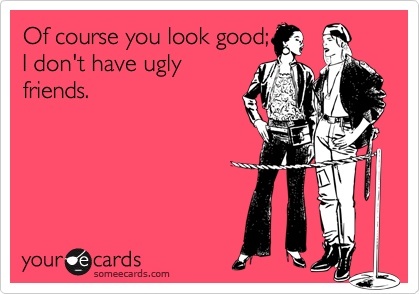 I have always thought you were beautiful!!! Have you read the book "Captivating"? This book helped me a lot while on this journey to view myself in the truth of how God made me. I have read Captivating. Maybe I should read it again. Thank you for all your kind words, Sarah. We're a group of volunteers and starting a new scheme in our community. Your website offered us with valuable information to work on. You have done an impressive job and our entire community will be grateful to you. an e-mail. I look forward to hearing from you! Awesome blog by the way! involved except it is something to do with Girl gaga!